Works great with the shampoo. I'll continue to use. Really love this product! It helps with keeping my color as long as it can! Smells great and my hair feels so nice. Does not help preserve red hair. I bought Redken Color Extend Conditioner accompanied with the Redken Color Extend Shampoo based off of my stylists recommendation after going red. I was super not impressed at the conditioner, as both just a conditioner and as something that was supposed to extend the color of my hair. I really question if this was not a ploy by my stylist because it made my hair color bleed out like crazy. After using this product for a week my hair had lost about two shades and went from red to a brown. There is no way no matter how you spin that, that this conditioner was effective in helping preserve my hair color. As just a conditioner this stuff fell serious flat. It did not make my hair feel softer at all. My hair felt stringy, and limp. It also made my hair tangle like crazy and it made it super unmanageable. I would not recommend this product to anyone dyed hair or not, simply because I do not believe it is a good product, and after having the experience I did with it I could not do it in good conscious. Keeps my color longer between touchups. I use color just to cover my stray grays and my grays are very stubborn! It was almost seeming impossible to keep up with the root touch ups and didn't take long for me to have to touch up again. This product helps keeps the color longer. It is very effective and helps prevent my overdoing it with the touch ups. I don't like using hair dye too much. This product also leaves my hair clean, soft and shiny. The product is a bit pricey but it is worth the price. It saves me on the cost of getting touch ups too early. It doesn't weigh my hair down and is easy to rinse out. Great product overall. Effectiveness This product is truly a color extender that really protects hair color from stripping. 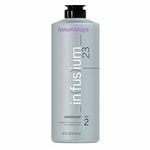 I can count on my hair color longer because of this product- especially with my stubborn grays. Scent This product smells light and pleasant without being overbearing. It leaves my hair smelling fresh and clean. I don't necessarily like perfumey smelling hair products, so this product is just about right. I constantly color my hair so I always need a conditioner that'll keep my hair looking vibrant. A friend of mines told me about the Redken color extend conditioner so I gave it a try. I noticed a difference in my hairs structure and texture when I used it. My color didn't fade and my color always looked shiny. It helps secure color vibrancy and it has a wonderful smell to it. Its very light and gentle. It doesn't weigh your hair down and it doesn't make your hair oily. It made my everyday styling for my hair a lot easier because it detangled all my knots. My hair was manageable and it was really soft. Its very moisturizing and it easily rinses out. Its a bit pricey but its well worth every the money. This actually saves you money because of how it seals your color in to last longer instead of buying more color to dye your hair. 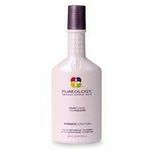 This is a perfect conditioner for someone who has color treated hair or dry, damaged hair. 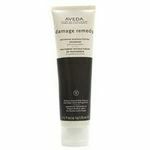 This conditioner helps maintain long lasting color. Wonder conditioner! Really worth the money! This conditioner is worth your money. I also use the shampoo in conjunction. I did not buy it at first because I balked at the cost, but I treated myself recently after my appointment with my hair stylist. I was very happy that I did. My hair can be a little dry because of the color treatment, but this conditioner really makes a difference in that. My hair is softer than before, more full of volume, and the color lasts much longer when using Redken's color extend conditioner. I make it last by only use it a couple times a week, but that is good enough. You do not have to use it every day to get results. If you want a great conditioner for color treated hair, this is the brand to try. I love it. Effectiveness This conditioner lives up to its name. You will not be disappointed by the effectiveness of Redken. In fact, I was hooked after the first use. It worked much better than I could have ever expected. Scent This conditioner has a nice scent that is not overpowering. This product is absolutely amazing for keeping hair color in. Red is such a hard color to maintain, but this makes it a little bit easier. It has dye in it so it helps to give your hair that punch of color once it fades. It's been recommended by many stylists and beauty bloggers alike! I made sure to do my research after I dyed my hair red, and this stuff worked just the way I expected! 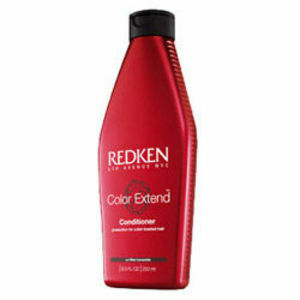 Redken Color Extend: Great conditioner proven to hold color. Redken Color Extend shampoo and conditioner was recommended by the stylist that knows how much I love my highlights. This conditioner was more expensive than what I was used to spending but it really does work to keep my highlights looking like highlights. Highlights stay bright for up to six weeks longer. I've marked it on the calendar and tested how much longer I can go in between touch up jobs. **Redken Color Extends:** is a great conditioner that leaves my hair feeling silky and soft makes my hair easy to style goes a long way because you seriously only need a couple of drops also comes in a money saving 33 ounce bottle has UVA and UVB filters to protect hair from sun damage uses cranberry seed oil to sustain color saves me time and money end the end by extending the life of my color My only wish it that this line had a better scent. It doesn't smell bad, it's just more like unscented. ***My Viewpoint: *** I use Redken Color Extend conditioner in conjunction with the Color Extend shampoo because it really works. I will admit that I am addicted to coloring my hair. As such, my hairdresser recommended that I try this conditioner since I go as long as I possibly can in between colorings! 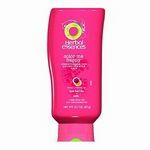 I did enjoy this conditioner and found that it made my hair very soft. When you color your hair it is difficult to find a conditioner that will help to make your hair appear to be healthy. I found that this one did the trick! As a conditioner it is A-plus. As far as the product advertising that it extends the life of your color, I did not find that to be true. I still went the same amount of time in between hair colorings and really didn't notice any difference in regards to the life of the hair color with this conditioner compared to others that I have used. I think that if you are looking for a great conditioner, this may be the one for you, just don't expect it to give you any additional time in between color treatments. If you are frugal, like I tend to be, I would say skip this one altogether. While it works, there are cheaper conditioners out there that work just as well and will do the same thing for you. My hairdresser recommended this conditioner after repeated coloring of my hair. She thought it would allow me to go longer in between colorings. I completely agree with her. I now only need to color my hair about 3 times a year as opposed to 4-5 which saves me money :) I think the conditioner is well worth the money. Sometimes I alternate this with the Redken conditioner that creates fuller hair. I think they also can work really well together. There is no build up on my hair. If you use the Redken color extend shampoo, the conditioner will last longer. You do not need to use a lot. I have hair that is just longer than shoulder length, and I use about a quarter size amount or less. Besides allowing the color to last longer, I think that the conditioner also just leaves my hair healthy, shiny, and beautiful. I cannot think of many negative quailities for this product. I would recommend this conditioner to anyone who colors their hair!! !